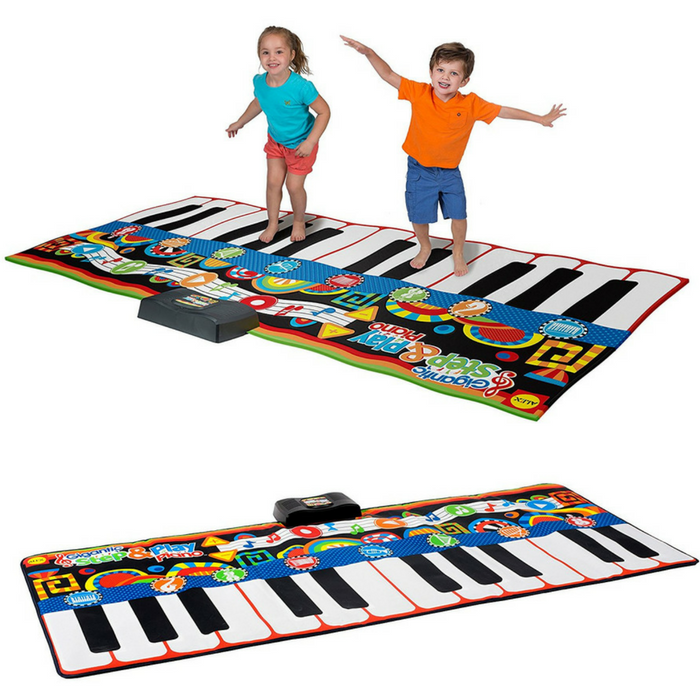 Alex Toys Gigantic Play Piano Just $31.38! Down From $80! PLUS FREE Shipping! You are here: Home / Great Deals / Amazon Deals / Alex Toys Gigantic Play Piano Just $31.38! Down From $80! PLUS FREE Shipping! Hop over to Amazon to score this Alex Toys Gigantic Play Piano for just $31.38 down from $79.99 PLUS FREE shipping! Dance, Sing and compose all at the same time! The piano mat is touch sensitive. Use your hands or feet to play the notes, or roll back and forth to play the scales! Create some killer dance moves and a song to go with your music to put on a show. With a 71” x 29” play surface your keyboard can also be your stage! Choose from piano, saxophone, violin, accordion, trumpet, harp, xylophone, and guitar sounds to create your musical masterpiece. Switch instruments mid-song for more complex compositions. Adjustable volume lets you play as loud as you want to or as soft as you need to. Perfect for a Christmas present!